Rostock is a former East German city located at the northern coastline of Germany. Looking for a place to stay we found a hotel called Trihotel Rostock. The number of affordable (appr. 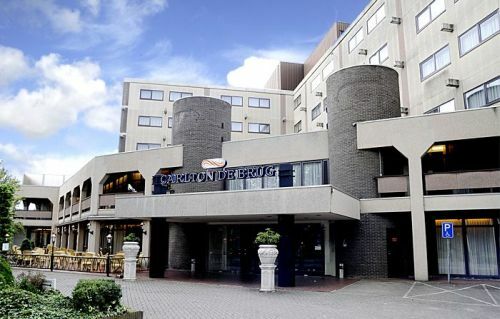 €100,-) hotels in the Eindhoven region is limited. So this time I tried Carlton hotel “De Brug” in a village near Eindhoven called Mierlo. Inzell might be the most beautiful speedskating location in the world. 2 Weeks ago I competed in the WinterTriathlon together with my girlfriend and some friends. This was a great opportunity to enjoy the scenery for a potential last time before a roof is build upon the arena. During my one night stay in Hotel Ouwi I went looking for a nice restaurant in the Bildstraat. I was quite hungry so I decided to go for the Chinese restaurant. After entering I noticed the enormous mirror on the ceiling. A nice girl asked me to sit wherever I would like, so I did. Enjoying a decently priced drink, I decided to go for a combined menu with Tjasp-Tjoy, Foe Jong Hai, Bami and sate. The Chinese Tomato soup I had before was nice but not more than that, just like the main dish. As I expected, the quantity was very good. I had to eat a little too much to clean the plates and the food was good enough to make me ;). For 18 euro’s I had a large and healthy meal with soup before and two drinks during my meal. I give restaurant Nieuw China a 7. The next try in my search for a good hotel in Utrecht was succesfull. Hotel Ouwi is located near the city centre of Utrecht, which makes it very good reachable by public transport. Nice restaurants can be found near by in the Bildstraat. The hotel itself does not have a restaurant. 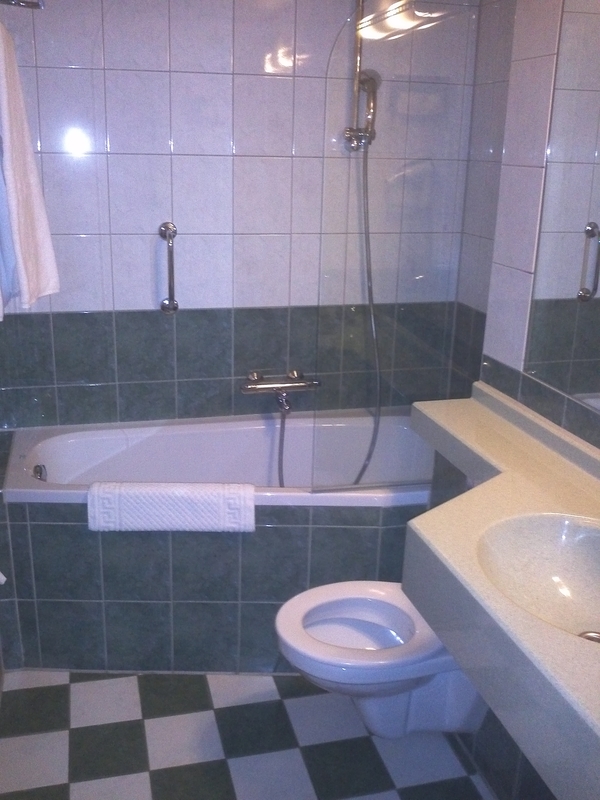 For 79 euro’s a night, including city tax and a breakfast, you’ll have a room for one person. 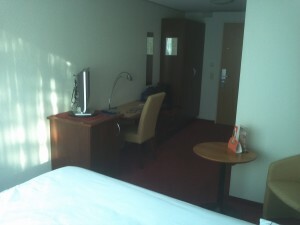 Last night I stayed in the Ibis hotel in Utrecht (Netherlands). Unfortunately, I was disappointed about the quality of the hotel.